Sri Lanka is an island with many cultures, languages, and races. The majority of the people is from the Sinhalese ethnicity. This island has a great variety of places to visit, mountains, tea fields, waterfalls, temples, beaches, colonial cities and national parks with diverse fauna, among them elephants. Sri Lanka, a lost paradise of the Indian Ocean, with figures of giant buddhas, palaces and impregnable fortresses, temples scattered on the rock, admire its elephants and enjoy its famous gardens of spices. 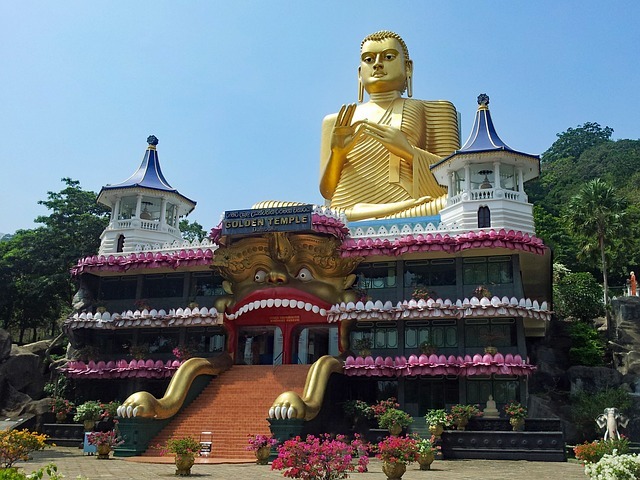 Although there are several places to see and visit depending on the interests of each one, we will make a list with those indispensable in a trip to Sri Lanka. Explore its historical treasures, discover its fauna and immerse yourself in its culture. The ancient city of Polonnaruwa survives as one of the best planned archaeological relic cities in Sri Lanka, standing proof to the discipline and greatness of the Kingdom’s first rulers. Polonnaruwa remains as the ancient royal city of the Kingdom of Polonnaruwa. It was first named the capital city by King Vijayabahu I, who defeated Chola invaders in 1070 to reunite the country once more under a local leader. Polonnaruwa was one of the exciting places to visit, declared Patrimony of the Humanity by Unesco in the year 1982, it was the seat of Sinhalese kings of century XI to XIII. It is a complex with remains of religious architecture meant to walk among trees. 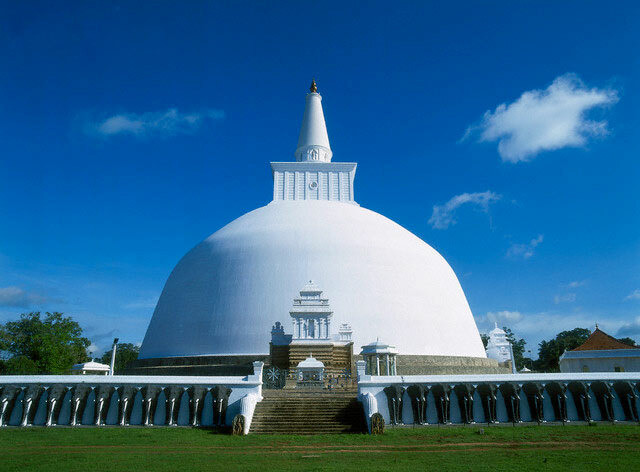 Anuradhapura belongs to the “cultural triangle” of Sri Lanka and is a must visit. The city was founded in the fourth century BC is one of the oldest capitals of the state and one of the most significant archaeological sites in the world. 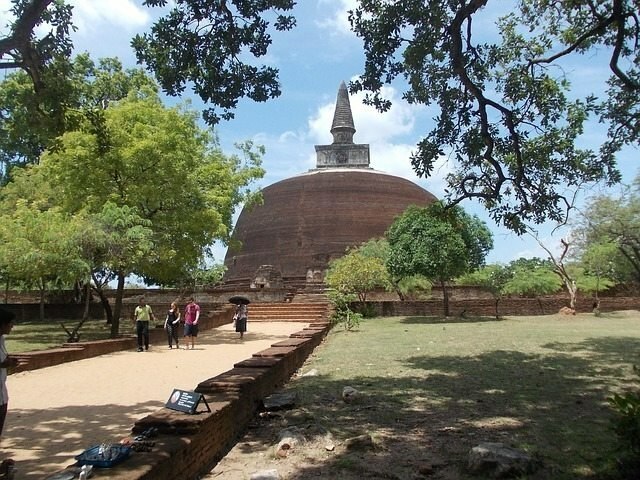 It was declared Patrimony of the Humanity in 1982, along with Polonnaruwa and Sigiriya. It has a protected area of 4,000 hectares where you can lose between pagodas and monasteries walking through areas that are a haven of peace. It is worth mentioning that it is a sacred city for Buddhism. 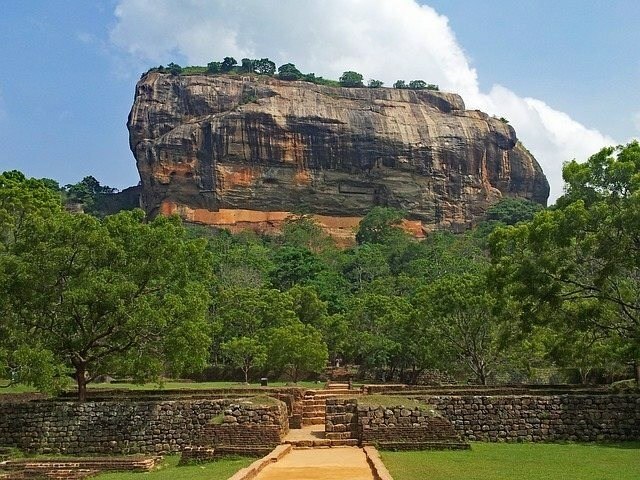 Possibly this range is an iconic, the mountain or great rock of Sigiriya is eroded magma of a volcano that no longer exists and that has 370 m of altitude. The shape and landscape that it has left are breathtaking. In the fifth century, a palace was built on its upper terrace, although today there are only vague remains of what it was in its day. In the lower part are the remains of the interior palace, walls and beautiful gardens that give an idea what could have been this incredible place. Main attractions of the area include the most abundant and best-preserved cave temple complex of Sri Lanka; it is the Golden Temple built in the 1st century BC, located on the outskirts of the city on a small hill. In this area, five caves are open to the public and where you can admire dozens of statues and murals. Entirety, there are 153 statues of Buddha, 4 of gods and 3 of kings. There is hardly any lighting, so we recommend taking a tripod if you want to make some good photos. It was declared a World Heritage Site by Unesco in 1991. In total, there are more than 80 caves around, where people inhabited the place’s population in prehistoric times. They say that the temple was finished in just 167 days. The area also boasts the most extensive rose quartz mountain range in South Asia, and the Ironwood forest, or Na Uyana Aranya. The city lies in the middle of hills in the Kandy plain, which crosses an area of tropical farms, mainly tea. 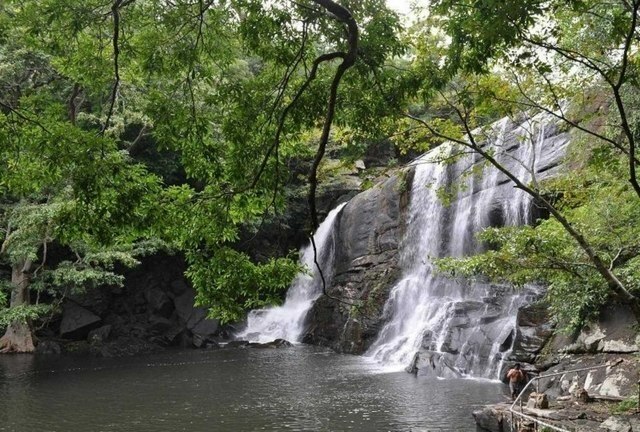 Kandy is a beautiful Victorian town from where you can make several excursions. The lake gives you the pinch of relaxation and calm. But what attracts the tourist to this city is the Dalada Maligawa, a religious complex where there is the Temple of the Tooth of Buddha. Entering the temple can be slow, depending on the time of year, as this is the capital of Buddhism and thousands of pilgrims and tourists are approaching these pavilions. Something that also highlights Kandy is for its Ayurvedic massages, which you will see that offer in many hotels and locations. It is a different experience, and you will leave very relaxed. You can also pay a visit to a tea factory and the Spice Garden. If you do not use the city as a base, with one day you have enough to know the highlights. If you chose to reach Nuwara Eliya by train, you could enjoy an enthralling landscape of tea-fields, small waterfalls, and mountains. The city has a colonial architecture, inheritance of its past like base of the English tea plantations. To this day, it continues to be its source of economy, where women tamales collect their leaves daily with great care to obtain the “Tea of ​​Ceilan” with the appellation of origin. 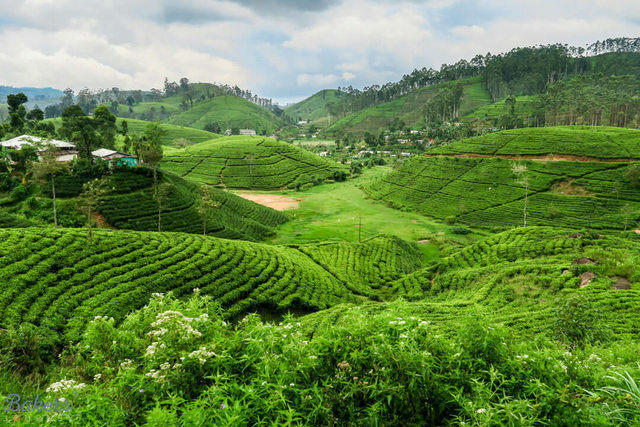 If you have not hit a tea factory in Kandy, this is perhaps one of the best places to do it, as well as tour some of its fields that have a landscape of a harmony that is spectacular. Once you arrive in this small town, the first thing to do is arrange the transportation to make one of your premier visits, trekking to the Worlds End, in the Horton Plains National Park. The area has a rich bio-diversity, thick with numerous types of flora and fauna. Ella has enclosed by hills covered with cloud forests and tea plantations. The town has a colder climate than surrounding lowlands, due to its elevation. The town of Ella does not have much to see, but its environment is exceptional. A few kilometers from the village there is a beautiful waterfall where local young people take the opportunity to get together and spend the afternoon. The highlight is her two routes, Ella’s Rock and Little Adam’s Peak. 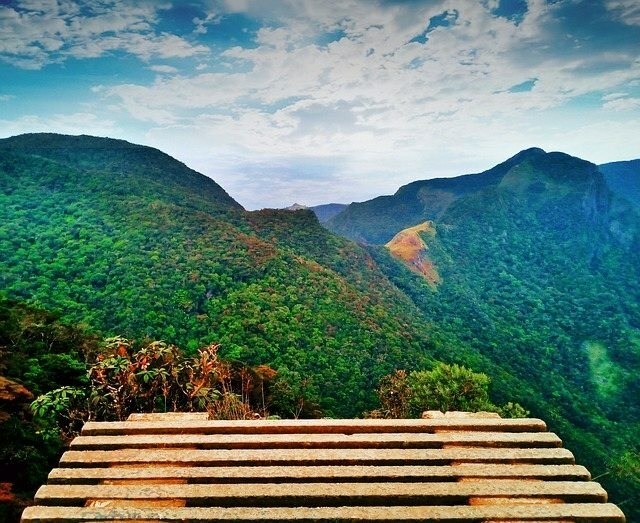 The Ella Gap provides views across the southern plains of Sri Lanka. 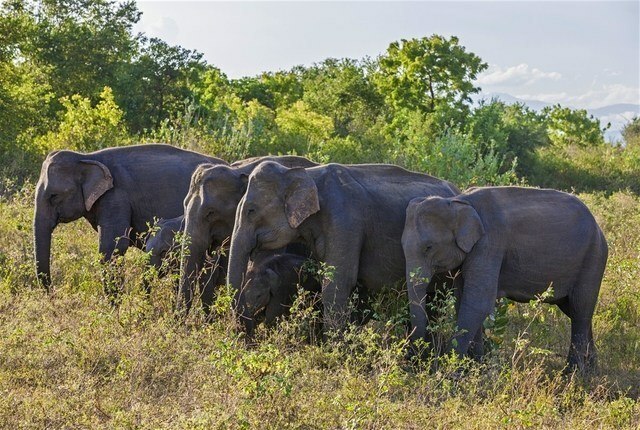 The national park was created to provide a sanctuary for wild animals displaced by the building of the Udawalawe Reservoir on the Walawe River, Udawalawe is a crucial habitat for water birds and Sri Lankan elephants. It is a favorite tourist destination and the third most visited park in the country. In Sri Lanka, you have several parks where you can make a safari and enjoy the animals in freedom where the elephant is the lead. It is advisable to do the safari in the noon, as it is the time when the animals come to the ponds to drink. The base for this safari is the small village of Embiliptiya. For those looking for the beach, Mirissa is a good choice. Of course, you have to tell that it is a tourist beach with many amenities, like wifi in the many beaches. At night the beach is filled with little lights from the restaurants you get to choose the fresh fish you want to eat. Mirissa’s beach and nightlife make it an ideal tourist destination. 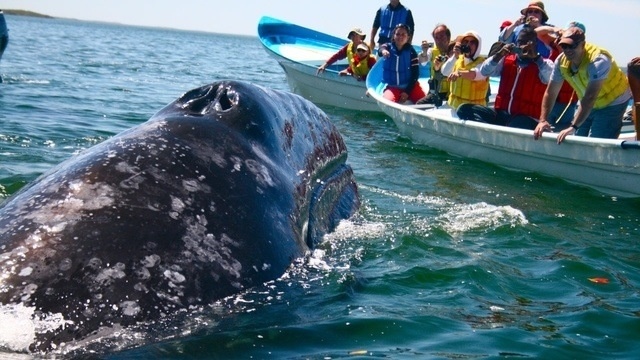 It is also a fishing port and one of the island’s central whale and dolphin watching locations. From the port of Mirissa, the boats leave for the whale and dolphin tour. Galle was known as Gimhathiththa before the advent of the Portuguese in the 16th century, and it was the prime port on the island. 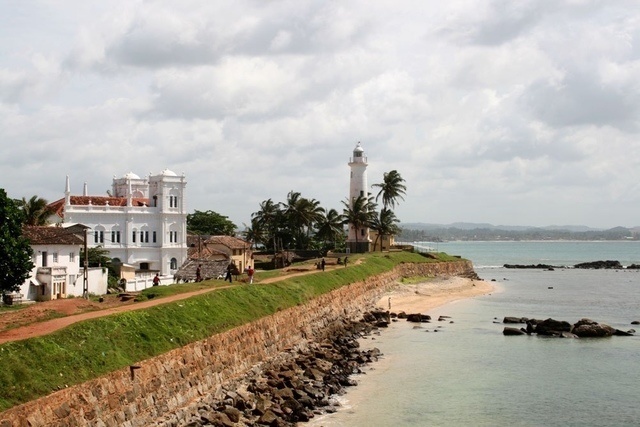 Galle reached the extent of its growth in the 18th century, during the Dutch colonial period. Galle is the best model of a fortified city built by the Portuguese in South and Southeast Asia, showing the interaction between Portuguese architectural styles and native traditions. Unesco has declared the region as the most preserved Dutch fortress in the world. It is a beautiful and quiet place, where it is easy to get lost in its narrow streets and make stops in the jewelry stores, restaurants, and souvenir shops. The best is to walk through the wall, through its streets of colonial houses, and to visit the museum. Other famous landmarks in Galle include the city’s natural harbor, the National Maritime Museum, St. Mary’s Cathedral founded by Jesuit priests, one of the main Shiva temples on the island, and Amangalla, the historic luxury hotel. The main attractions of Colombo are Viharamahadevi Park; it is situated next to the National Museum of Colombo and the Town Hall. It is the earliest and biggest park in Colombo and features a giant Buddha statue. 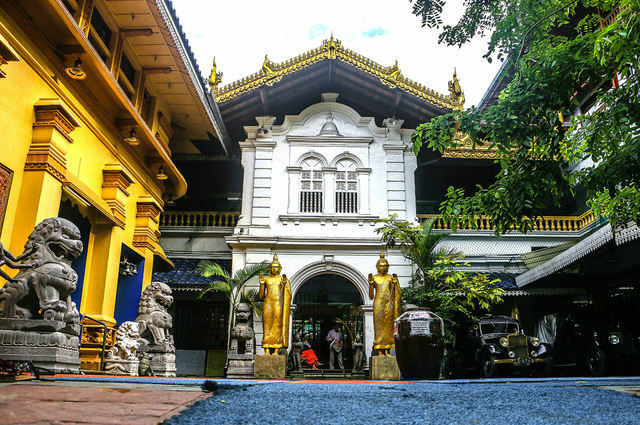 And the other attraction is Gangaramaya Temple is one of the most prominent temples in Colombo. The temple’s architecture shows an eclectic mix of Sri Lankan, Thai, Indian, and Chinese architecture. The Galle Face Hotel is a historic landmark on the southern edge of this promenade along the Indian Ocean shore and is a popular destination for tourists and residents alike. I never thought Sri Lanka would be these beautiful. It makes me wanna visit the country. Great pictures!